We stock a variety of Soudal’s infamous T-Rex products. T-Rex Fast Grab: Claimed to be the strongest adhesive on the Earth. T-Rex Power Fast Grab is a high quality, neutral, elastic, 1-component adhesive sealant based on SMX® Polymer with a very high initial tack. 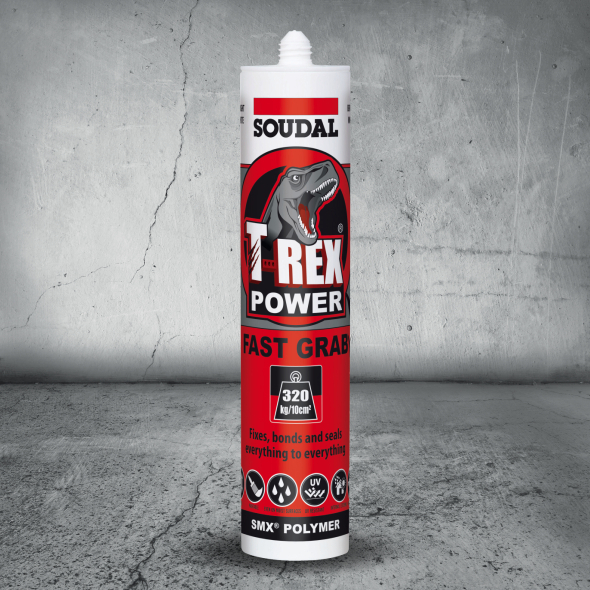 T-Rex Power Fast Grab is a high strength sealant / adhesive that can hold 320kg’s per 10cm2 with a 1 Second immediate grab. 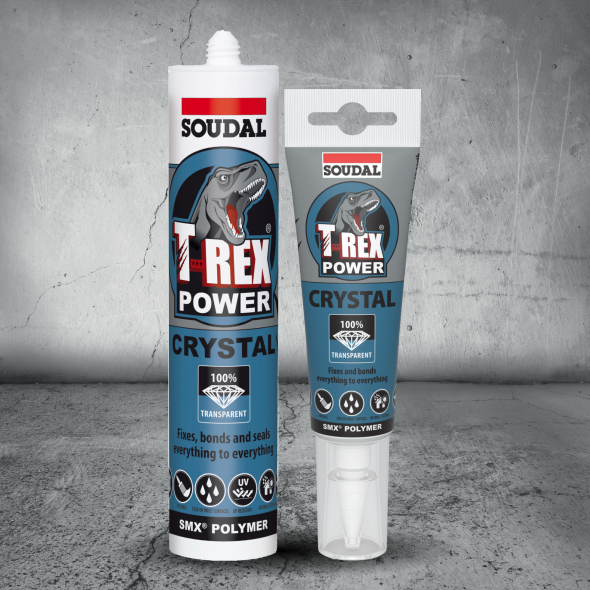 T-Rex Crystal is a high quality, crystal clear, neutral, elastic, single component sealant/adhesive based on SMX®-Polymer.